Wide Display is a font created by Valery Zaveryaev and published by Gaslight. 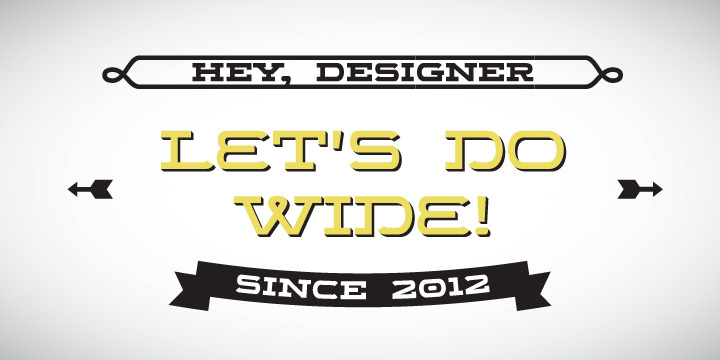 Let’s do wide! and you’ll find numerous alternatives and decorative elements. A font description published on Monday, September 17th, 2012 in Fonts, Gaslight, Valery Zaveryaev by Alexandra that has 3,254 views.